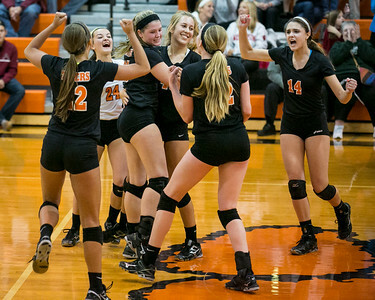 Daryl Quitalig - For Shaw Media Crystal Lake Central's Brittany Lownds (14) and teammates celebrate after winning the match against Prairie Ridge at Crystal Lake Central on Thursday, Oct. 16, 2014. After losing the first set, the Tigers came back to win, 2-1. 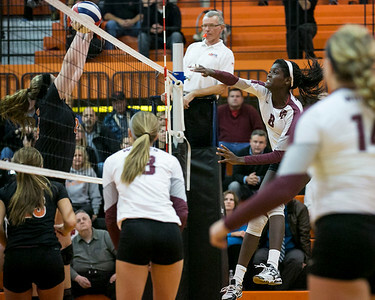 Daryl Quitalig - For Shaw Media Crystal Lake Central's Cayla Hausler (23) and Brittany Lownds (14) defend as Prairie Ridge's MacKenzie Garis (2) sets the ball during a match at Crystal Lake Central on Thursday, Oct. 16, 2014. After losing the first set, the Tigers came back to win, 2-1. Daryl Quitalig - For Shaw Media Crystal Lake Central's Brittany Lownds (14) spikes the ball, ending the match against Prairie Ridge at Crystal Lake Central on Thursday, Oct. 16, 2014. After losing the first set, the Tigers came back to win, 2-1. 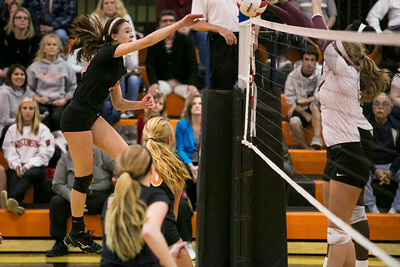 Daryl Quitalig - For Shaw Media Crystal Lake Central's Courtney Ward (35) and Megan Kelly (42) attempt to block a spike during a match against Prairie Ridge at Crystal Lake Central on Thursday, Oct. 16, 2014. After losing the first set, the Tigers came back to win, 2-1. 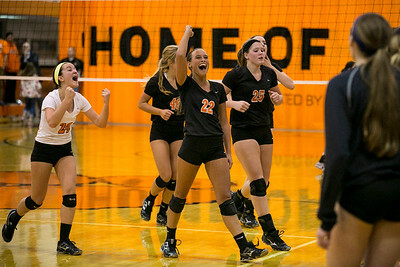 Daryl Quitalig - For Shaw Media Crystal Lake Central's Sydney Fleck (22) and Sarah Adams (24) celebrate a point won as Prairie Ridge takes a timeout during a match at Crystal Lake Central on Thursday, Oct. 16, 2014. After losing the first set, the Tigers came back to win, 2-1. 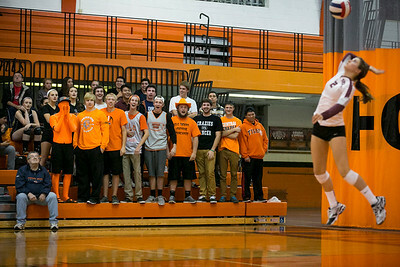 Daryl Quitalig - For Shaw Media Fans in the Crystal Lake Central students' section make noise as Prairie Ridge's MacKenzie Garis (2) serves the ball during a match at Crystal Lake Central on Thursday, Oct. 16, 2014. After losing the first set, the Tigers came back to win, 2-1. Daryl Quitalig - For Shaw Media Prairie Ridge's Savanna Sheridan (8) spikes the ball during a match against Crystal Lake Central on Thursday, Oct. 16, 2014. After losing the first set, the Tigers came back to win, 2-1. Daryl Quitalig - For Shaw Media Prairie Ridge's Kaitlyn Turskey (15) taps the ball over the net during a match at Crystal Lake Central on Thursday, Oct. 16, 2014. After losing the first set, the Tigers came back to win, 2-1. 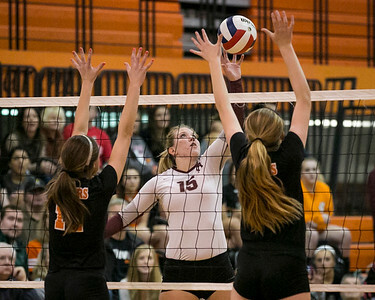 Prairie Ridge's Savanna Sheridan (8) spikes the ball during a match against Crystal Lake Central on Thursday, Oct. 16, 2014. After losing the first set, the Tigers came back to win, 2-1.